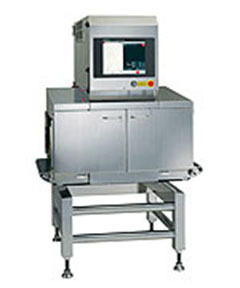 When large quantities of small packaged goods need to be inspected, there are four models in the specific applications series of x-ray inspection systems. Two models - the KD7447DW and the KD7447DWE - can handle products up to the size of 590 mm x 250 mm. Meanwhile, the KD7337AWH1 and the KD7337AWH2 can inspect products up to the size of 690 mm x 250 mm. A large aperture infeed system allows for the inspection of large cartons, cases and bags, as well as those containing multiple small packs. Four models of detection technology are available for large product inspection. Be sure to choose one that meets your product size and the detection sensitivity level you prefer. The KD7447DW can detect a Fe sphere and SUS sphere as small as 0.4 mm dia., while the KD7447DWE, KD7337AWH1 and the KD7337AWH2 can detect any Fe sphere and SUS sphere as small as 0.5 mm dia. This x-ray technology line can complete a comprehensive inspection of large cartons, even those with multiple small packs. The Anritsu x-ray system includes virtually every algorithm you may need to inspect your product. 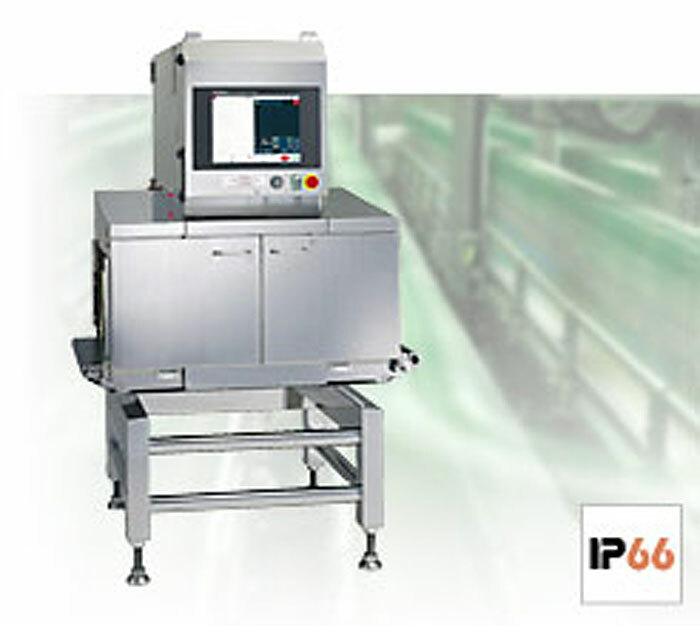 In addition, features such as variable belt speed, simple cleaning, flow direction change, Ethernet connection and many other features provide the user with a long-term, flexible solution for any new applications that may require x-ray inspection.